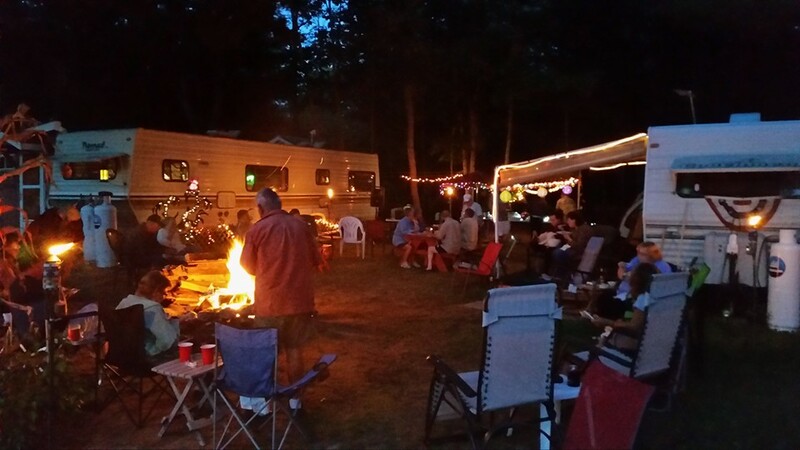 Meadowbrook Camping Area is a second generation, family owned and operated campground nestled on 60 acres. We are located in Phippsburg, Maine, a small town peninsula, just outside of Bath and only 10 minutes from the most popular beach in the area, Popham Beach State Park. We offer Cabin Rentals and campsites suitable for anything, from "Big Rigs" to one-man tents. Our sites are spacious with options to be in the sun or tucked away in the woods. Lobsters & Clams cooked daily, Drifter’s Reef Snack Bar, Paintball, swimming pool, rec hall and shuffleboard & more! The fun of camping with the comforts of home! Check out our new camper rental! Enjoy an action packed game of paintball. Our wooded course can accommodate up to 10 players.